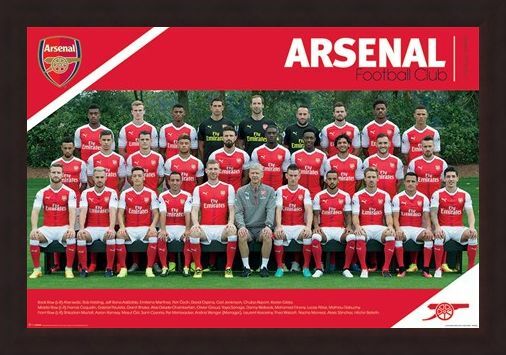 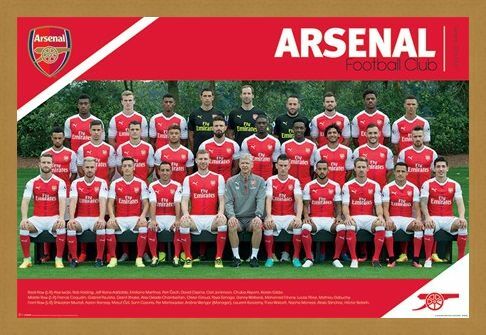 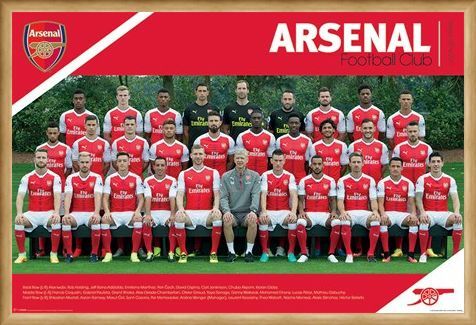 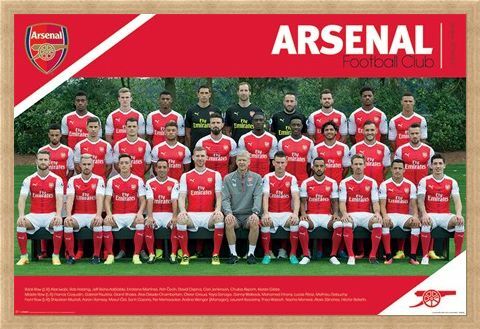 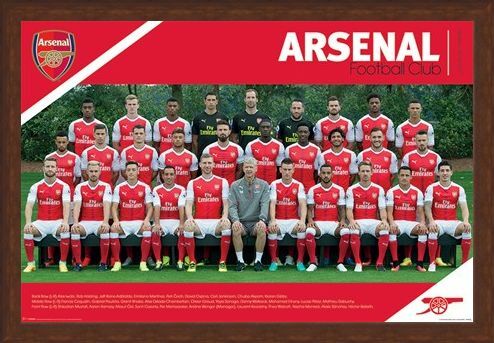 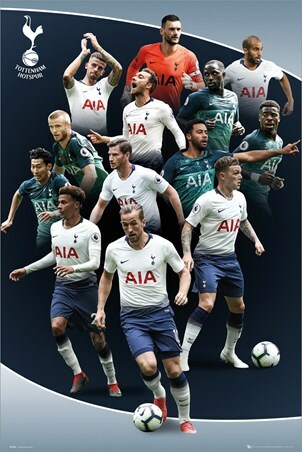 Sport Maxi Poster: This poster features Arsène Wenger's squad for the 2016/2017 season. 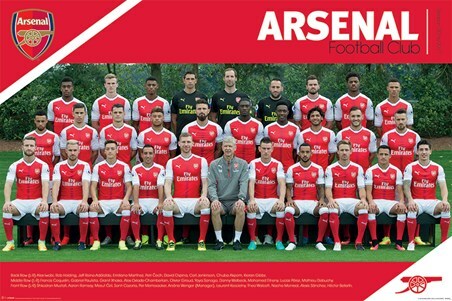 The manager of Arsenal football club, Arsène Wenger, is pictured front and centre, who has been with Arsenal since 1996 and is fast becoming the longest serving manager at this club. 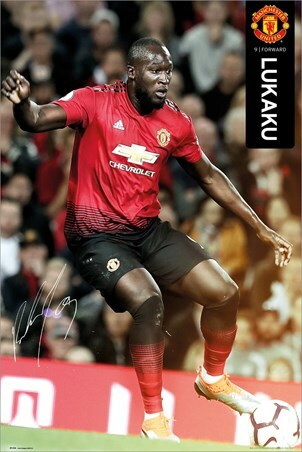 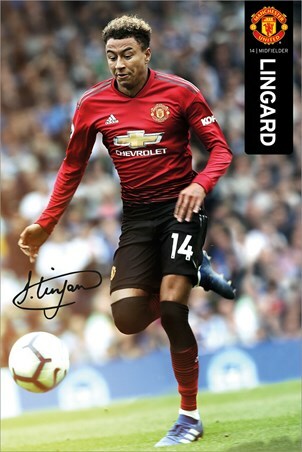 With the Arsenal crest pictured top left, the names of players listed below and featuring world class footballers such as Olivier Giroud, Mesut Özil and Alexis Sánchez this would make the perfect edition to any fans collection. High quality, framed Team Photo 2016/2017, Arsenal FC poster with a bespoke frame by our custom framing service.